Home / News / First Ural award "Metallurgist of the year"
In late August, the ceremony of awarding the winners of the annual prize of the Ural "Metallurgist" the 2018. First, the event gathered more than 100 participants from 35 metallurgical and related businesses from across the country. the event was attended not only by members and guests, but also representatives of the Ministry of industry and science of Sverdlovsk region and Ural Federal University. the first President of Russia B. N. Yeltsin. Deputy head of science and innovation of the Ministry of industry - Zhuravlev Stanislav Ivanovich, emphasized the importance of the profession metalloved to the Urals and the country as a whole. As acting Director of the Institute of New Materials and Technologies - Kurenkov Dmitry V., noted the high level of submitted work. 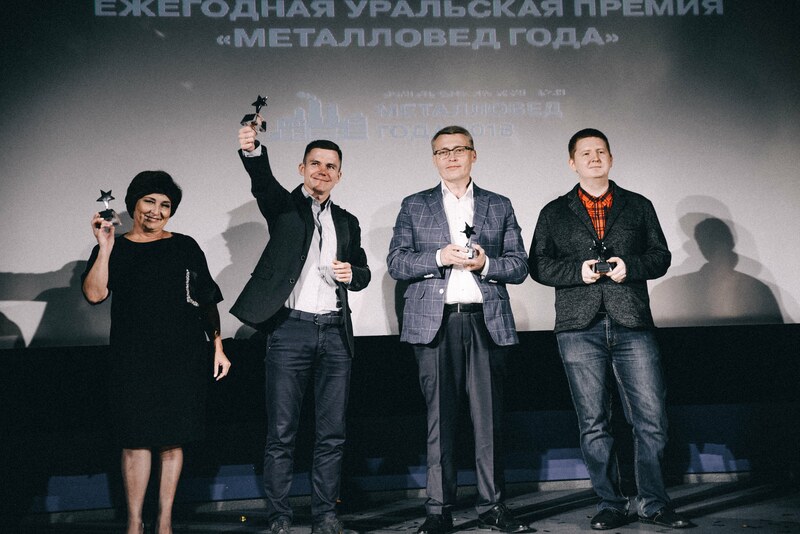 In the category "Metallochemia" won Commissioners Alexander, national research technological University "MISIS", Moscow. Pavlova Natalya from the Vyksa metallurgical plant, Vyksa, won in the category "Metallography". Main prize in the nomination "Metallofizika" received Sergeenko Sergey, URGU (NPI), Novocherkassk. In Ecology a silver statue took Radik hisamutdinov Yusupovich, LLC "solid waste "ECOservice", Yekaterinburg.